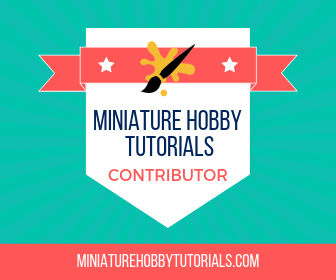 This week was all about BEASTS OF CHAOS! I did do some painting of Barbossa as well, but mostly it was all about putting little plastic goatmen together. Two full boxes of Start Collecting: Beasts of Chaos, that is. As well as a couple boxes of Gors. 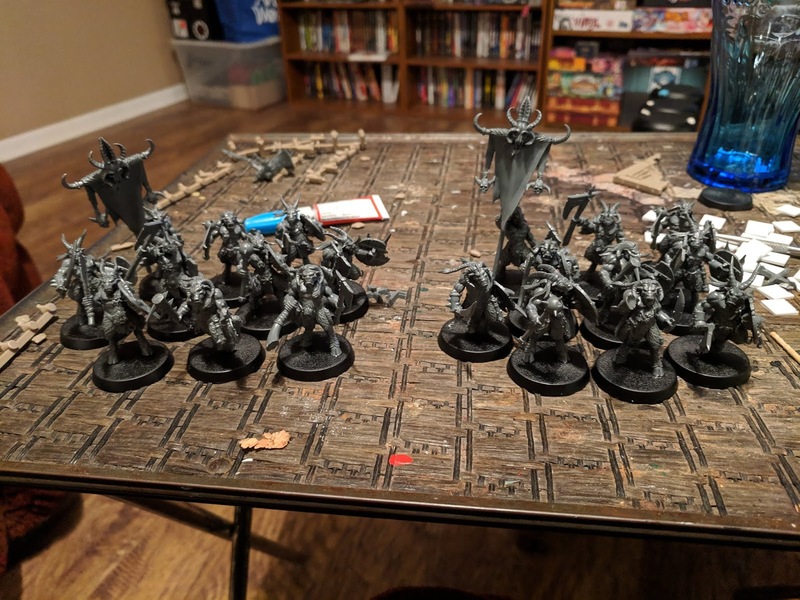 The leap into Age of Sigmar has begun! 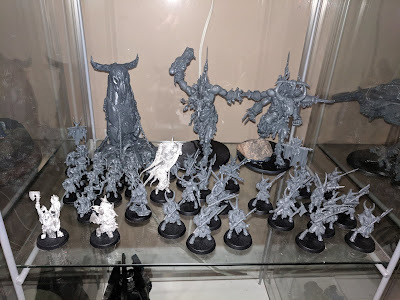 I've started collecting an army of Beasts of Chaos models and will be working on them soon so I can take them to Adepticon for friendly games with my friends there. While Lizardmen and Wood Elves were my first loves in Warhammer Fantasy, I've always had a bit of a connection to Beastmen. This all stems from my younger days and games of RuneQuest and the Broo beastmen. Broo were some of the most brutal creatures I'd ever seen in a role-playing game at the time. They are creatures of chaos who are generally a humanoid half-man half-livestock creature. Sometimes goats, cows, bulls, but not limited to just those. So, when the time came to start playing Age of Sigmar I couldn't resist playing Beastmen. Also, since they are nasty, dirty herd animals, it will allow me to do a super quick and dirty paint job on them. So far they are all assembled and based. 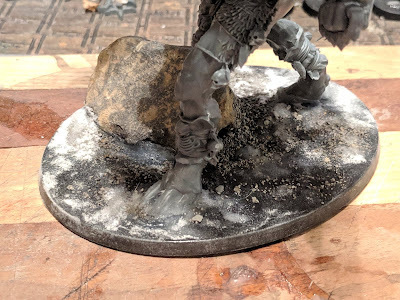 For the basing I decided to try something new and use baking soda for the gritty texture of the ground. Rather than the usual silica sand that I use. Also, I added some surface texture with kitty litter and then some more baking soda on top. I really like the texture I have on there and can't wait to see what happens when I paint it. 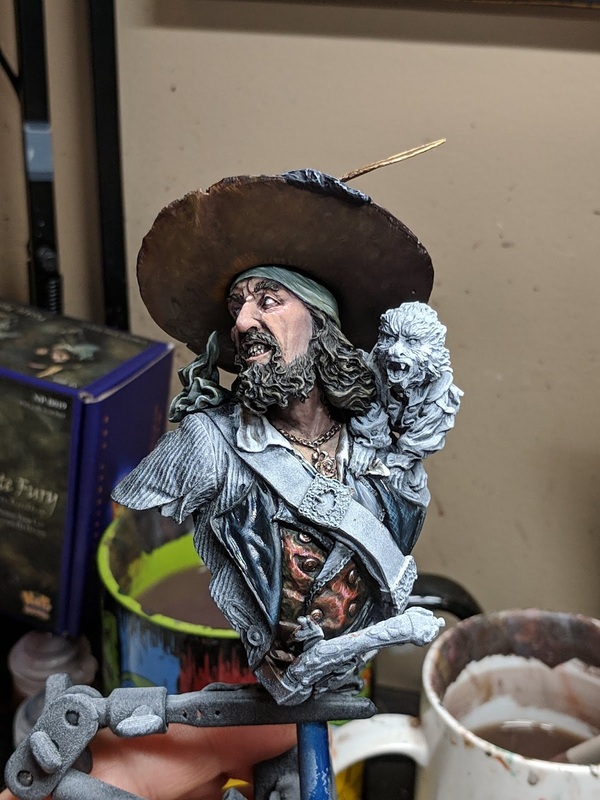 Barbossa is coming along nicely and as of last night his torso is looking really good. I just love the way that he's turning out. Except for the freehand design on the vest. His head is still loose and will not be attached to his body until the very end. As of now I've been plopping it on to see how things look together. One thing I realized after it was way too late was that I painted his hat the wrong colors. I didn't realize his hat was black. But it's too late now and I do like how the hat turned out, so that's a win? Overall he's progressing nicely and as of now I probably won't be working on him again until Sunday night or Monday.